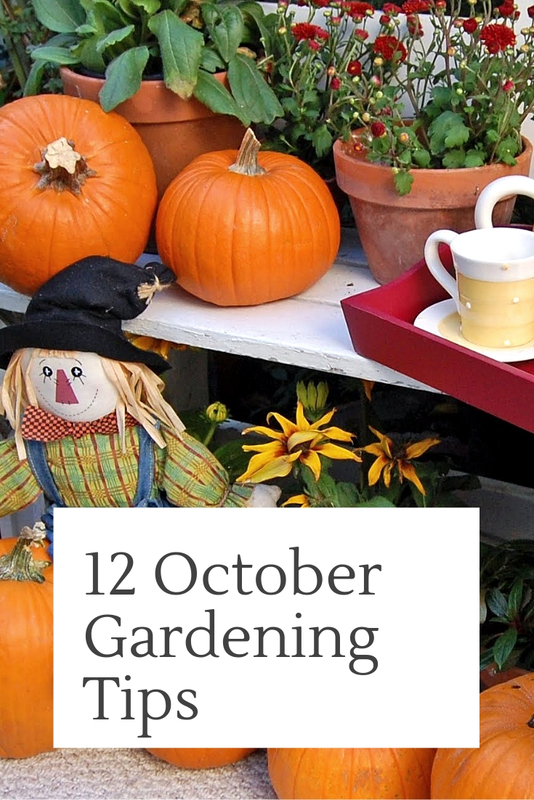 October is a busy time in your garden when you have to ensure everything is ready to withstand old man winter. It is also a great time to get things completed so when spring rolls around you are ready to dig in and get planting those spring seeds and flowers. Whether you are beginning the process of putting your garden to rest for the winter season or gearing up for a fresh start, check out my October Gardening Tips to help you get it all done. 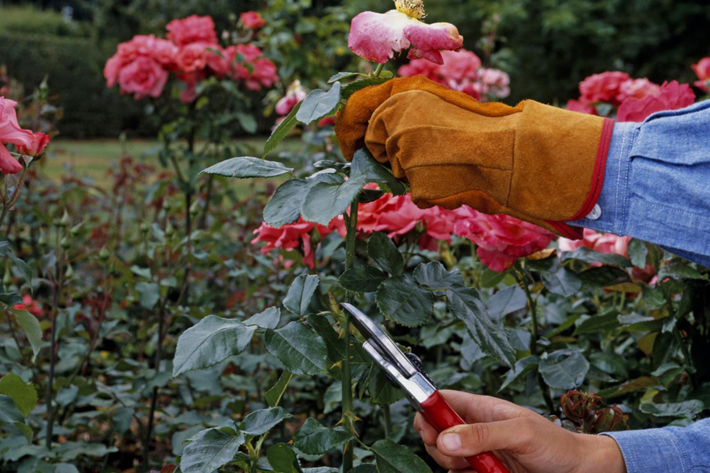 October is an ideal time to plant deciduous trees, shrubs, and roses: The cool weather encourages plants to root quickly and the soil is generally easier to work since it’s not as cold and mucky as it can be in the spring. Dig a hole slightly larger than the root ball of the plant, set the plant in the hole at the same height it was growing in its nursery pot, mulch, and water. It’s that simple! Tip: If you buy a plant that has already lost its leaves, don’t worry. This means it is dormant and won’t mind a change in venue. Many perennials benefit from being divided every few years. Left to their own devices, some plants become overgrown and slowly die out from the center. Perennials that prefer being divided in October include Asiatic and Oriental lily, hosta, peony, daylily, bearded iris, Oriental poppy, and sedum. Dividing these plants is easy. Use a sharp spade to dig around the plant and lift it from the ground. Then, use your spade or sharp knife to divide the plant into smaller pieces. Replant them at the same depth they grew previously, but space them apart to give them room to grow. Tip: Do a little research before you divide your plants. Some species such as peony only require dividing every four to six years, while faster-growing species such as hosta or bearded iris are best divided every two to three years. Spring-flowering bulbs such as tulips, daffodils, and crocus should be planted in October and November. Larger bulbs are best planted 8 inches deep; smaller bulbs 4 inches deep. For a natural, informal look toss your bulbs over the garden bed and plant them where they fall. If you want a more dramatic display, plant your bulbs in large drifts or clumps of the same color. And tuck bulbs in your existing perennial border: In spring, bulbs will pop into bloom just as your perennial flowers break dormancy. Tip: If deer are a problem in your area, plant daffodils, scilla, snowdrops, fritillaria, allium or leucojum. Deer and rabbits both avoid these spring bloomers. Clean ceramic and clay pots and store them over the winter. If you leave them outdoors in a cold climate they could crack due to the freezing and thawing temperatures over the winter. Remove the dead plants and dump the soil (you can spread used potting soil over your garden beds). Then, use a garden hose and scrub brush to remove any remaining soil or insect pests. To sterilize pots, use a dilute solution of bleach to clean them. Once the pots are dry, store them in a protected shed or garage until spring. Tip: Store clay pots separately. If you stack them inside each other, they can expand and make it almost impossible to separate them later on. One of the best ways to keep young plants alive over the winter is to cover them with mulch, especially the first year after planting. Spread a 4- to 6-inch layer of shredded leaves, bark, or straw over the crown of the plant to protect it from freeze and thaw cycles. In the early spring, just as the plants break dormancy, gently rake the mulch away and spread it throughout your bed to keep weeds at bay during the summer. Tip: If you are mulching newly planted trees, don’t spread the mulch right up against the trunk. Leave a 6-inch gap around the base of the tree. Otherwise, the mulch might camouflage mice or voles gnawing on the bark over the winter. If you don’t have a compost pile, October is a great time to start one. Turn dead and dying foliage, weeds, and kitchen waste into a nutrient-rich soil amendment. If you have a small garden, buy a compost bin at your local garden center or mass merchant. For larger gardens, consider creating your own compost center with bins made of concrete block or lumber. Just remember to layer woody and green materials, keep the pile slightly moist, and turn it once in a while to mix the contents. Tip: Leaves make excellent compost, but for best results, shred them before putting them in the compost pile. The smaller you shred your organic material, the faster it will decompose. A lot of gardeners don’t realize that weeding is even more important in the fall then it is the rest of the season. Weeds such as crabgrass, lamb’s quarters, and thistle all develop seed heads in the late summer and fall. Never let any weeds remain in your garden, even if frost has killed your flowers and veggies. The more you weed now, the less you’ll have to do next spring and summer. 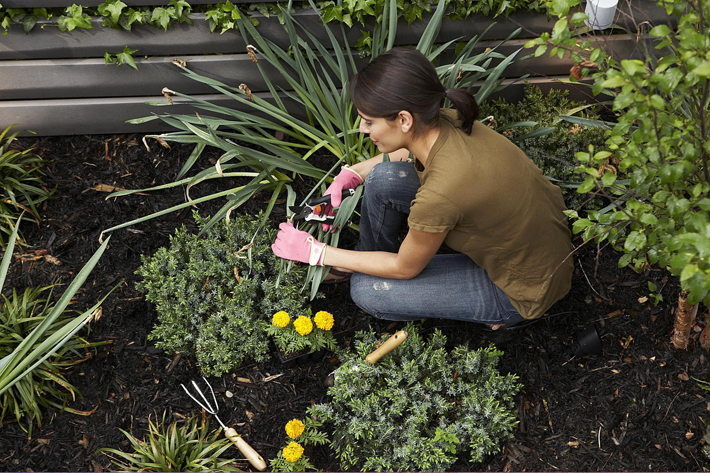 Tip: If your soil is hard and dry, water your garden a few hours before you weed. 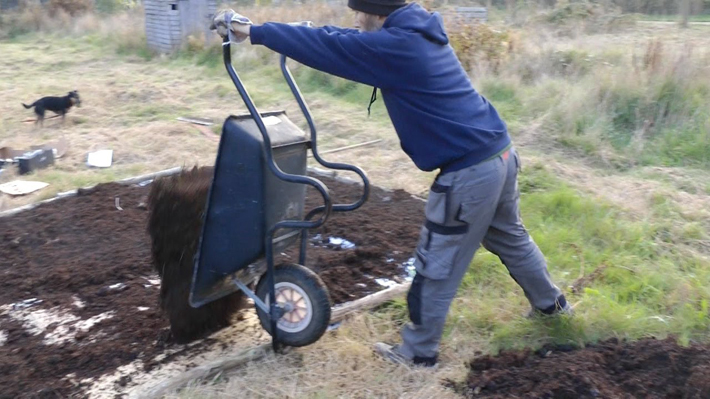 This will help loosen the soil and make weeding a lot easier. Enjoy fresh vegetables into the winter months by covering cool-season vegetables with a grow cloth or cloche. Crops such as spinach, lettuce, arugula, Swiss chard, carrots, and beets will continue to grow if they are protected from freezing temperatures. Grow cloth, which is a spun polyester fabric, can be laid over your crops and anchored to the soil with metal pins or bricks. The fabric allows sunshine and moisture to reach your plants and creates a snug environment for crops. Glass or plastic cloches can also be used to protect individual plants. Tip: Salad greens, which love cool weather and grow quickly, are ideal for fall and winter gardens. When selecting varieties look for loose-leaf types that can be clipped easily at any age so you’ll always have a harvest. Few gardeners have perfect soil. That’s why it’s important to improve your soil every chance you get. 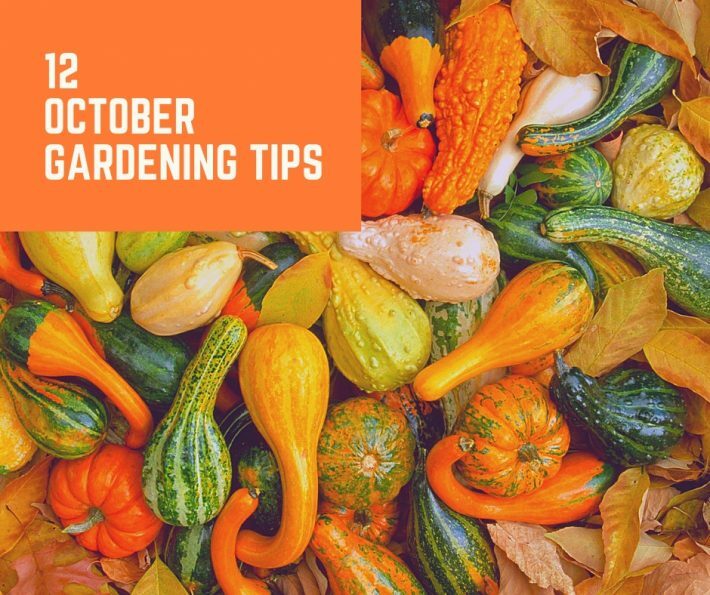 In autumn, after your garden has gone dormant, spread a fresh layer of compost, rotted manure, shredded leaves, or even fresh topsoil over the surface. The more organic matter you add, the better. Then, if the weather is dry, till it lightly into the top few inches of your beds so when spring arrives you can plant immediately without worrying about working the soil during wet weather. Tip: If possible, use a sharp spade to turn your garden soil. Tilling is fine for large gardens, but it can move pests and diseases from one section of your garden to another. After the first frost, most perennial flowers benefit from a good haircut. Plus, once the foliage is removed, it’s easier to work around the plants, whether you want to tuck in spring-flowering bulbs nearby or improve the soil. Plants such as bearded iris, peony, lily, hosta, coneflower, black-eyed Susan, and catmint can be cut back to a height of 3 to 5 inches. Use a pair of sharp pruning shears to remove the dead and dying foliage — don’t snap it off with your bare hands as you might damage the roots. Tip: Leave ornamental grasses alone so you can enjoy their feathery seed heads in the winter landscape. Prune them back in the early spring. If you live in a frost-free region, October is a great time to plant cool-weather flowers and vegetables in your garden. 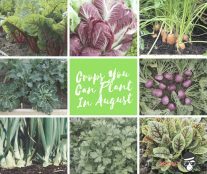 Crops such as kale, cabbage, collards, lettuce, carrots, mustard, onions, Brussels sprouts, cauliflower, beets, and garlic can all be planted in early to late October. Flowers that can be planted now include statice, stock, sweet peas, pansy, lupine, sweet William, dianthus, calendula, carnation, and snapdragon. Tip: Strawberries can also be planted this month in frost-free regions. Mulch them right after planting and water every day for a week or so until they become established. Check them every few days for snails and slugs. If you haven’t done so already, move tender plants indoors before frost hits.